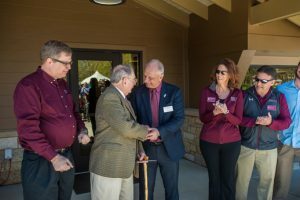 In the wake of all of the noise, it might be easy to miss hearing about all of the great things happening at SIU. Here’s a sampling of good news from the last week alone. The Plant & Service Operation team paddles their boat to shore during the 45th Annual Great Cardboard Boat Regatta on Campus Lake Saturday. 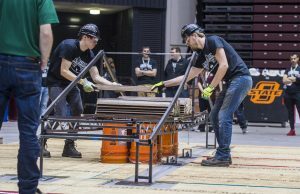 SIU’s team took second place in the steel bridge competition last week. Last weekend, we wrapped up a multi-day, student-led event hosting 400 engineering students from 15 universities for the Midcontinent Student Conference of the American Society of Civil Engineers. SIU teams won first place in the technical paper competition, second in the concrete canoe and steel bridge competitions, and third in the GeoWall competition. We also announced student winners in the statewide Radiologic Sciences Scholar Bowl and the Louis Regional CFA Institute Research Challenge. Thursday, we held the 2018 Faculty and Staff Excellence Awards, honoring Qingfeng Ge (Scholar Excellence Award), John D. Mellinger (Teaching Excellence Award, tenured and tenure-track), Gail Thomas (Teaching Excellence Award, non-tenure track), Trent W. Ford (Early Career Faculty Excellence Award), and Richard Cole and Emily J. Spann (Staff Excellence Award). On Friday we celebrated our commitment to sustainability, recognizing individuals for their dedication and awarding Green Fund grants. Also on Friday, we honored three distinguished alumni who serve as role models for all of our students. In addition, we hosted a meeting of our SIU Alumni Association board, a group of individuals dedicated to engaging alumni in the life of the university. I had the great privilege to dedicate the newly remodeled Ralph Becker Pavilion with Mr. Becker on Saturday. Saturday was another great day. 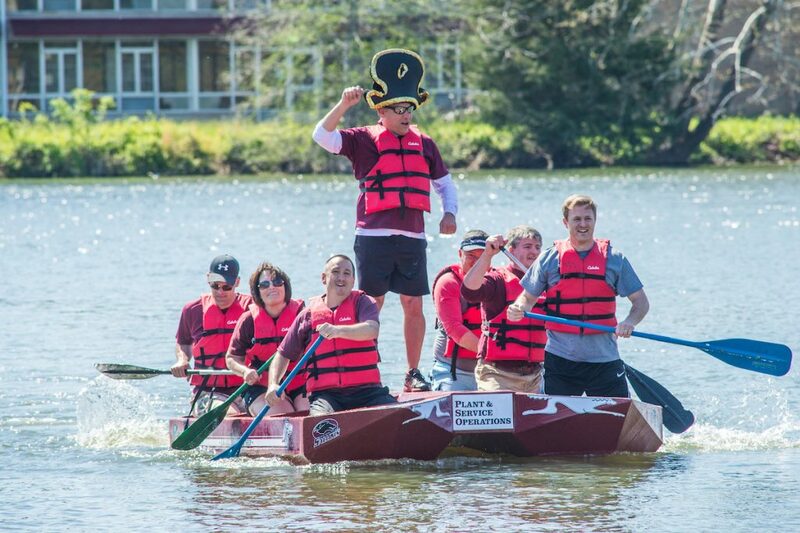 We dedicated the beautiful new Ralph Becker Boathouse and Pavilion in honor of a stellar and generous alumnus and brought the Great Cardboard Boat Regatta back to campus lake. Saturday was also the launch of SIU Presents with Ice Cube, an event we will build upon as we revitalize student life and community engagement. The week also gave us the 2018 Student Showcase and Runway Fashion Show, the theater production of Gem of the Ocean, American Airlines Career Day, a guest lecture by Carl Hulse, chief Washington correspondent for the New York Times,and many more activities and opportunities that benefited our students, faculty, staff and community. And that’s just one week! The activities and celebrations continue as we head toward commencement in just two weeks. There’s a lot happening at SIU. I encourage you to get engaged and help spread the word of the many great opportunities here.